Employees of government agencies are set to receive another cash incentive up to PHP 25,000 through the Collective Negotiation Agreement or CNA in December. 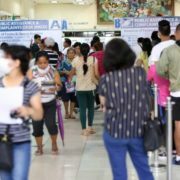 Budget Secretary Benjamin Diokno revealed that qualified government employees can now expect their incentive before the year ends. This new incentive covers the regular, casual positions (contractual), full-time or part-time workers in state universities and colleges, national government agencies, local water districts, government-owned and controlled corporations, and the LGUs (local government units). The Collective Negotiation Agreement is an annual benefit set to be distributed on December 15, 2018, onwards. Rank-and-file and those in managerial positions with approved and successfully implemented CNAs are also included. The said benefit is to recognize the efforts of the employees in accomplishing performance targets at a lesser cost. They were able to attain the more efficient and viable operations with cost-cutting measures. 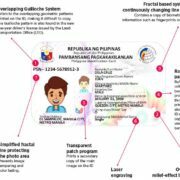 Rank-and-file employees who are members of the Civil Service Commission (CSC) accredited organization as mandated by the Public Sector Labor Management Council (PSLMC). 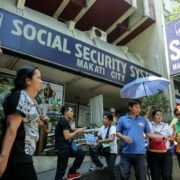 Rank-and-file employees who are non-members of Civil Service Commission (CSC) accredited organization but want to accept benefits under the CAN. 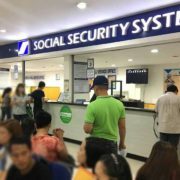 They will be subjected to the payment of agency fee as long as it is in accordance with regulations issued by the PSLMC. Employees who have managerial functions. The amount or rate of the CNA is not pre-determined. It is subject to compliance with the rules and regulations outlined in Budget Circular No. 2018-5. Add to that, the incentive is highly dependent on the availability of the allowable allotments. However, each employee will receive an amount not exceeding PHP 25,000. The CNA bonus is on top of the Christmas bonus and P5,000 cash gift the government employees nationwide will be receiving this December.